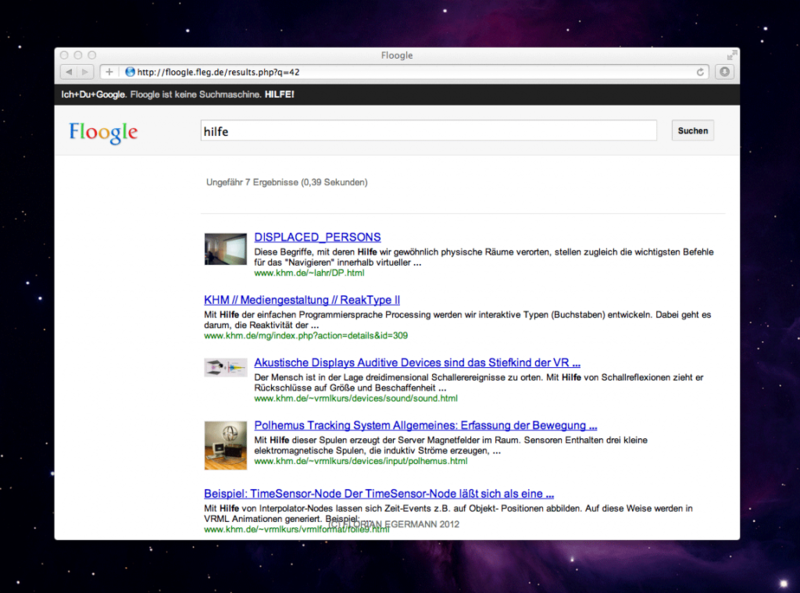 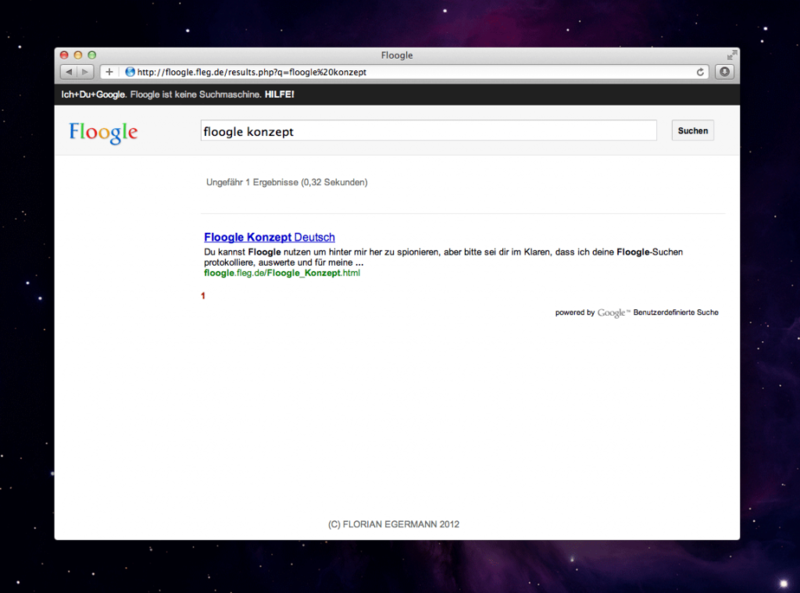 “Floogle is not a search engine. 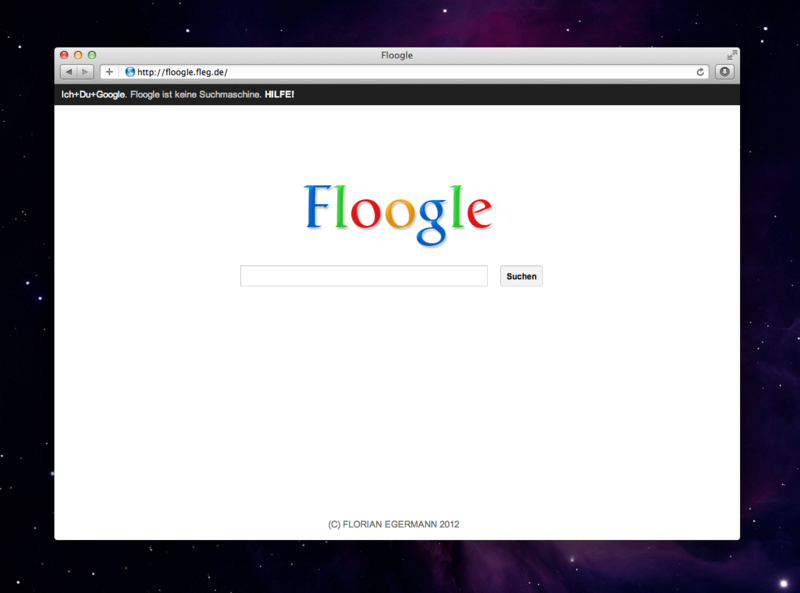 Floogle is a spy machine, a privacy breach based on google custom search. 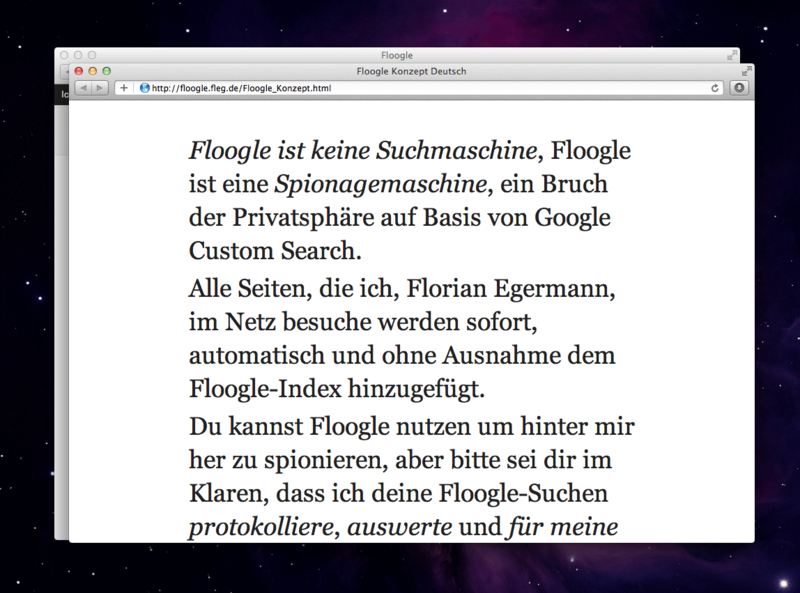 Every website that i, Florian Egermann visit will automatically be added to the Floogle Index. 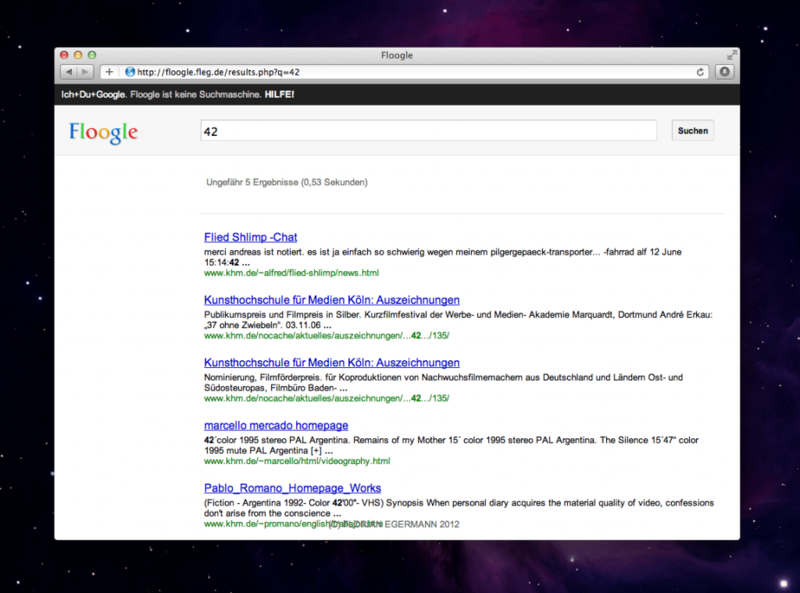 The project has ended because i visited 2000 sites (which is the maximum sites google custom search accepts).